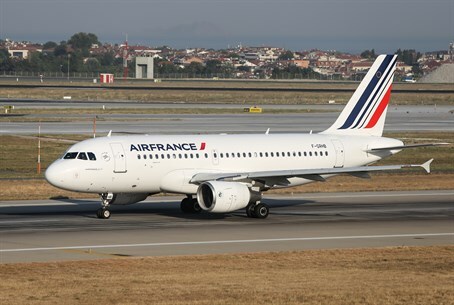 Air France on Wednesday responded to popular backlash and put Israel back on its in-flight maps, after shocked passengers documented how the maps wiped Israel out even while listing "West Bank" and "Gaza Strip" - areas that don't even have flight service. Panasonic France, the company responsible for Air France's in-flight electronic maps, said Wednesday it has put Israel back on the map. "We have been able to confirm that the changes we made to our service were deployed on the Air France aircraft on or about August 4th," the company released in a response to Simon Wiesenthal Center's direct complaint. The issue was first publicized by the pro-Israel group Stand With Us, which two weeks ago published photos of the map with the text: "Apparently, Air France removed Israel/Tel Aviv from their flight tracker map, despite the fact Tel Aviv is one of their official destinations. Additionally, they now note ‘West Bank’ and ‘Gaza Strip’ despite the fact neither of these are destinations of Air France." Simon Wiesenthal Center wrote to the French airline, which responded by saying on Twitter: "Air France deeply regrets this incident. It is due to a map scale and display problem which is currently being resolved. Please find image of the in-flight entertainment system working in proper order below. Many thanks." The apology was "feeble and totally inadequate," replied Simon Wiesenthal Center, keeping up the pressure on the airline that finally corrected the mistake.